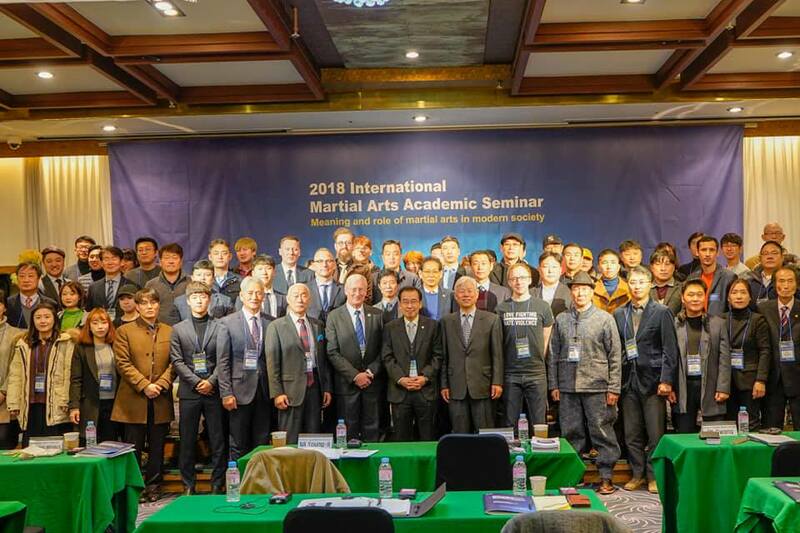 This past Friday I had the opportunity to attend the 2018 International Martial Arts Seminar organised by UNESCO’s International Center for Martial Arts in Chungju, Korea. 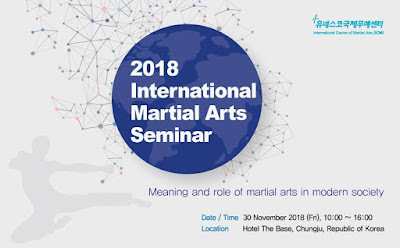 The seminar focussed on the “Meaning and Role of Martial Arts in Modern Society.” I was happy to catch up with old acquintances and make some new connections, including seeing some of Korea’s martial arts legends, such as Grandmaster Wang "Cassanova" Ho, who was one of the first Koreans to become famous in the Hong Kong kung-fu film scene. 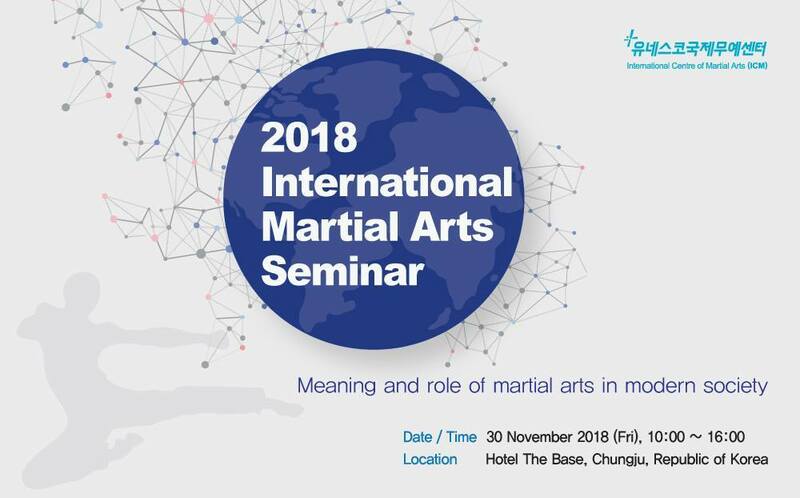 The seminar was divided into four parts, starting with an welcoming address by the UNESCO ICM Secretary General, Kim Sihyun who emphasized the role martial arts have played in modern times towards mediating conflicts. This was followed by the keynote speaker, Finn Berggren of the Gerleve Sports Academy in Denmark. The Gerlev Sports Academy functions as a center for researching and teaching traditional sports and games. Principle Berggren spoke about the importance of rediscovering and saving traditional games and the possible correlations between traditional sports and games and traditional martial arts. He highlighted the importance of rough-and-tumble play and children’s fighting games in childhood development and recommended that martial arts ought to be included as educational subjects in schools. After a lunch break, Professor Andreas Niehaus from Ghent University, Belgium, spoke about the challenges and complications Karate is experiencing as it is aiming for inclusion in the Olympics. He started of with a historic overview of the development of Karate (first as Tedol) in Okinawa, with influences from China and South-East Asia. With the move to mainland Japan, Karate became a tool for building Japan’s nationalism. As an Olympic sport, one can expect simplification, while back on Okinawa there is still disagreement among the different styles of Karate; nevertheless, Okinawa prefecture wants (Okinawan) Karate to be registered on the UNESCO’s list of intangible cultural assets. Professor Na Young-Il from Seoul National University spoke about “War, Peace and the Role of the ICM.” He pointed out the correlations between war and sports. He also gave an overview of the use of martial arts used in times of war in Japan and in Korea. 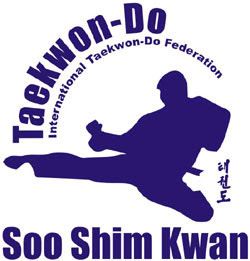 It was noteworthy that he specifically mentioned General Choi Hong-Hi as the person who created the name “Taekwondo” and discussed the involvement of Taekwondo in the Vietnam War. Then Prof. Na looked at the use of sport for building peace. 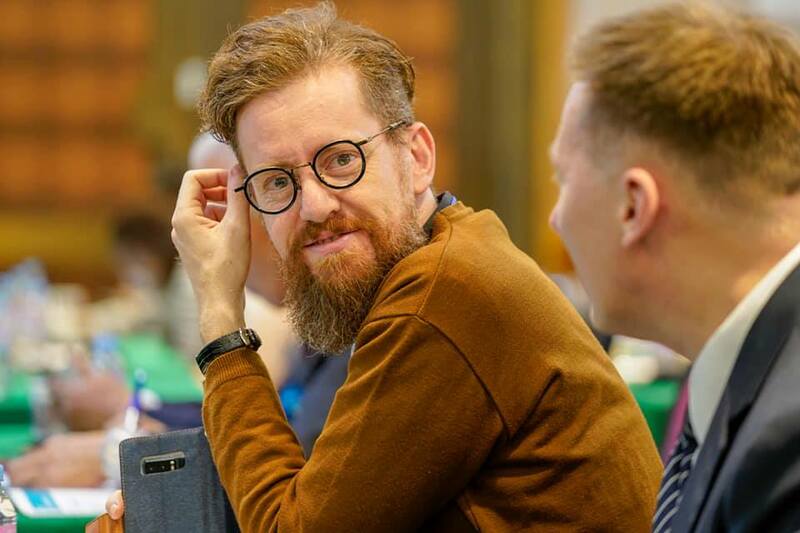 One example he mentioned was the “Fight for Peace” initiative that was started by Luke Dowdney in 2002 in Rio de Janeiro, which focusses on teaching personal development through martial arts in communities affected by crime and violence. Fight for Peace has representation in over 25 countries. He concluded his presentation with a look at the role of the ICM, which was started as part of UNESCO’s drive to safeguard traditional sports and games. Dr Na suggested that Asian countries should start a similar initiative as the Europrean Traditional Sports and Games Platform project that was started by the EU in 2017. The seminar also included two panel discussions. The first focused on the MARIE (Martial Arts Research Initiative for Experts) program that was hosted by the ICM in 2017, and the second was a recapitulation of the seminar followed by a Q&A session.